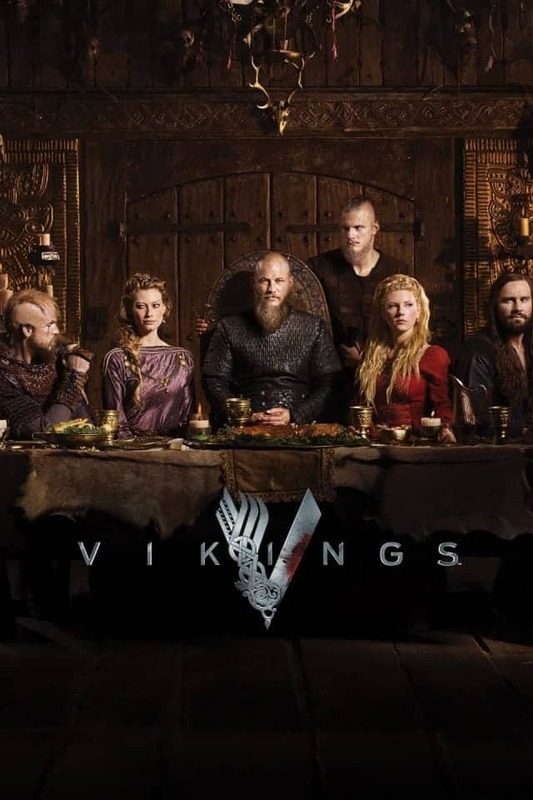 The Vikings TV drama is an epic show from the History Channel that is a joint Canadian Irish production and filmed in Ireland. A worldwide cult hit it has fueled a huge interest both in visiting Ireland to see ancient Viking sites to millennial favourites such as Viking beards, tattoos and drinking horns. Kathryn Winnick (Lagertha) has taken on her directorial debut on one of the new episodes of season 5, and we now eagerly await Season 6. It looks like that might not appear on our TV screens until November 2019 so the waiting has begun. We visited every Vikings filming site in Ireland, that could be accessed and they are all just a short drive south of Dublin. 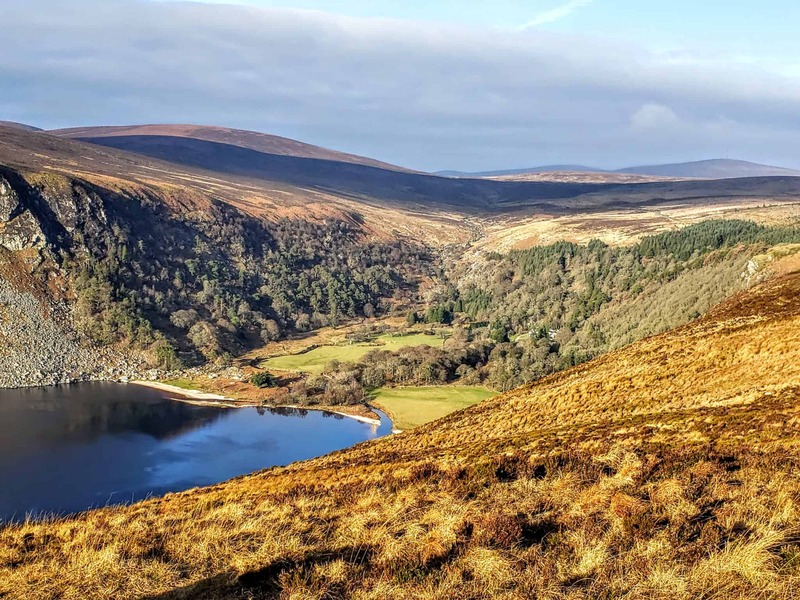 The filming locations are set in some of Ireland’s most beautiful countryside in the Wicklow Mountains – so grab your hiking boots and take a journey in Ragnar Lodbrok’s footsteps. We even purchased Viking Drinking Horns for our son’s Christmas present and they were very happy campers. Ireland’s Ancient East is featured heavily in the Vikings TV show and you can easily visit them all on a day trip out of Dublin. You can even like the Vikings Extras Facebook page and maybe you too can join in the Viking action and battle scenes. Telling the story of Ragnar Lodbrok, and his family of warrior wives and children the story is somewhat based in ancient history and some great storytelling fiction writing. It has some great female characters and some incredible CGI created scenes and scenery. Much of the Vikings saga has been filmed in Ireland and here are some of the areas and associated scenes that you can visit yourself when you tour Ireland. 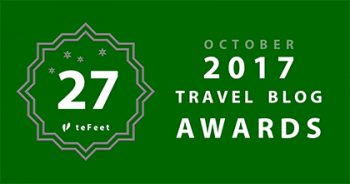 If you are planning to visit Ireland then you want the pick of the best places to stay, from hostels to fancy castle hotels booking.com has your back when it comes to accommodations. What you are actually seeing when you watch the Vikings sail down the Seine River to take Paris is the Boyne River in County Meath Ireland. 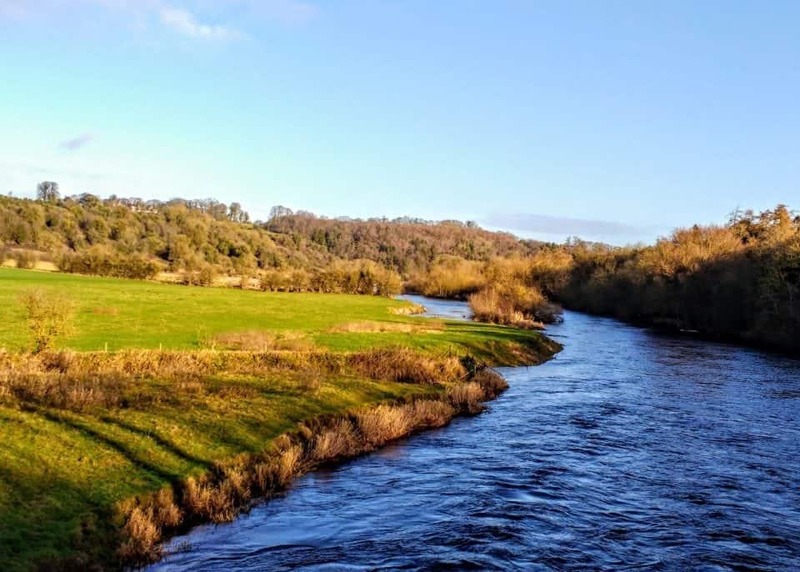 The Boyne is where the famous Battle of the Boyne took place and it runs through some of the most beautiful countryside in Ireland’s Ancient East. The Vikings TV filming crew uses the Boyne river to sail the Viking Longships on and takes out the background replacing it with a CGI created ancient Paris. 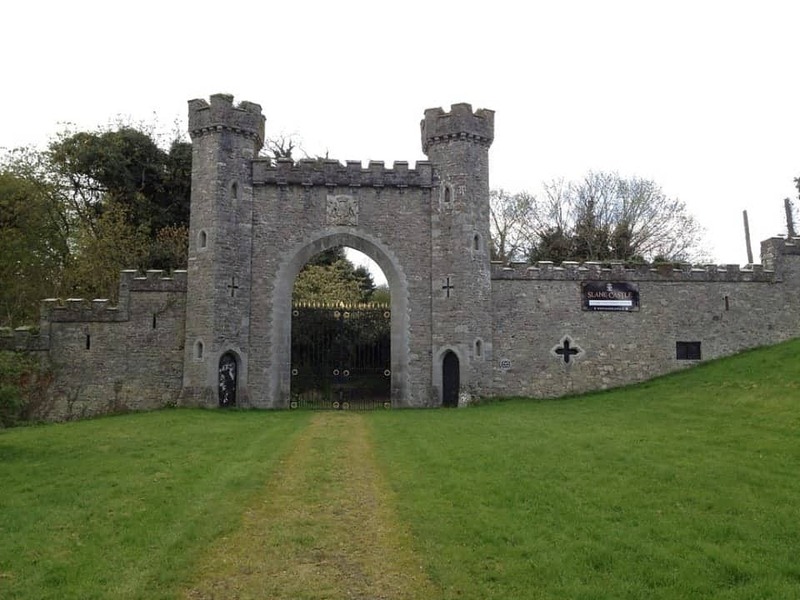 The filming of the Vikings rowing to Paris is done near Slane Castle which you may have heard of as it is the host for the many famous concerts including U2, Madonna and the Stones. 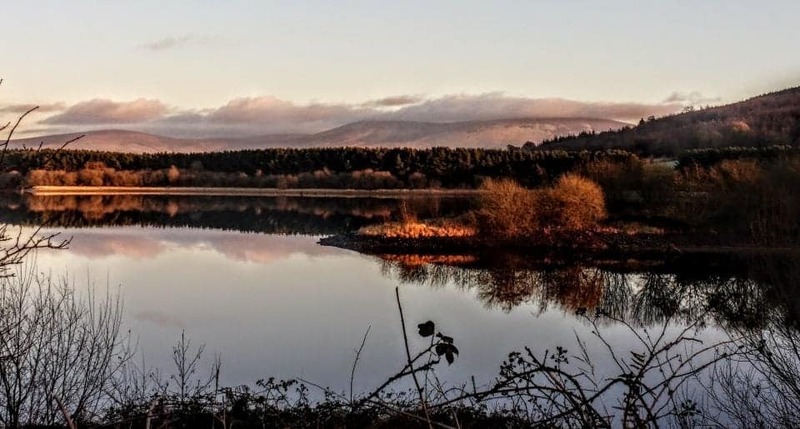 Many of the longship scenes where you see Ragnar and the Vikings from Kattegat setting forth to discover new lands are filmed on the Blessington Lakes. 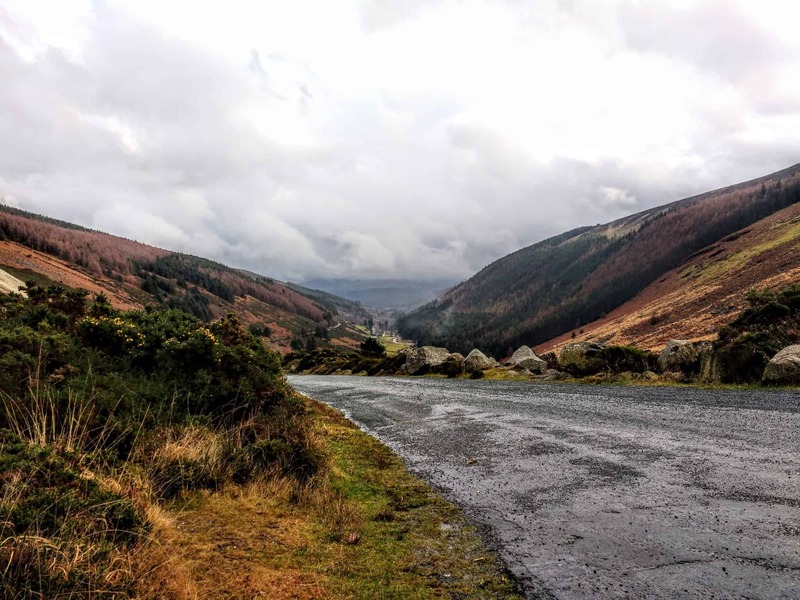 Set in the Wicklow Mountains the Lakes cover 500 acres of water and were formed over 50 years ago with the building of the Poulaphouca Dam. 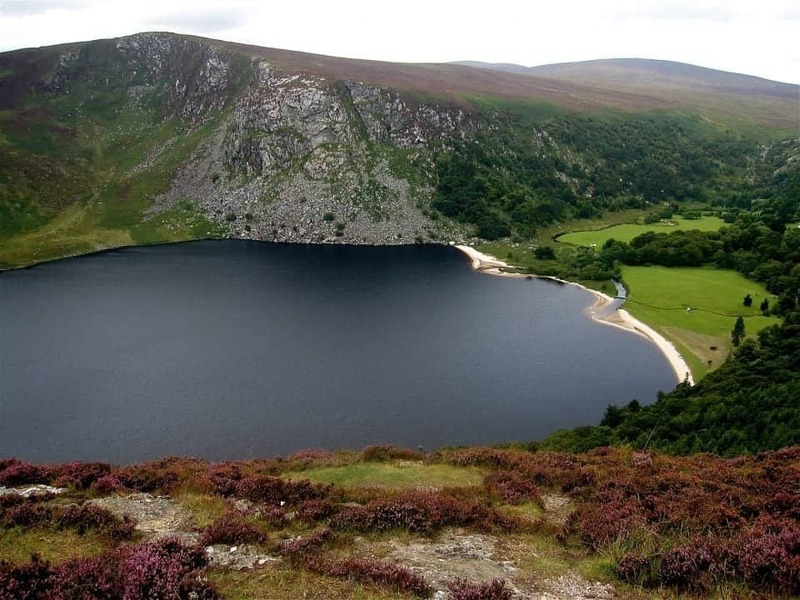 This is the largest man-made lake in Ireland and it has some incredible views of the Wicklow Mountains. Lough Tay (pronounced here as lock) is known to locals as the Guinness Lake because of course it is owned by the Guinness Family and is situated on the Guinness Estate at Luggala. You may recognize it as the home of Kattegat which is Ragnar and his families home base. 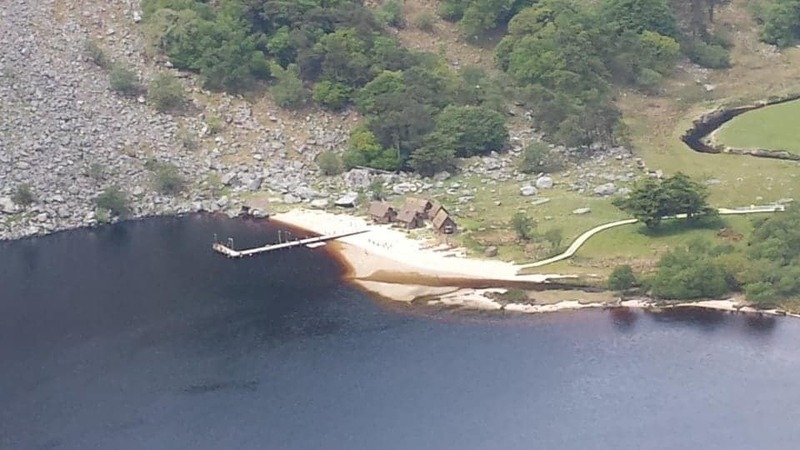 The Loch itself is on private land and you can’t get closer than a view from Military Road but that view has become an iconic Irish photo in its own right – apparently, if you look closely enough the outline of the Loch resembles a pint of Guinness. 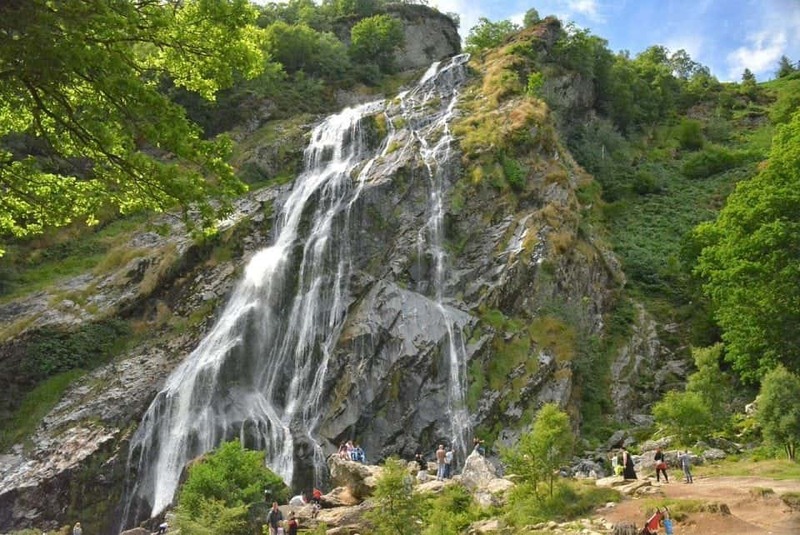 Powerscourt is an absolutely glorious estate with gardens covering over 47 acres in total. 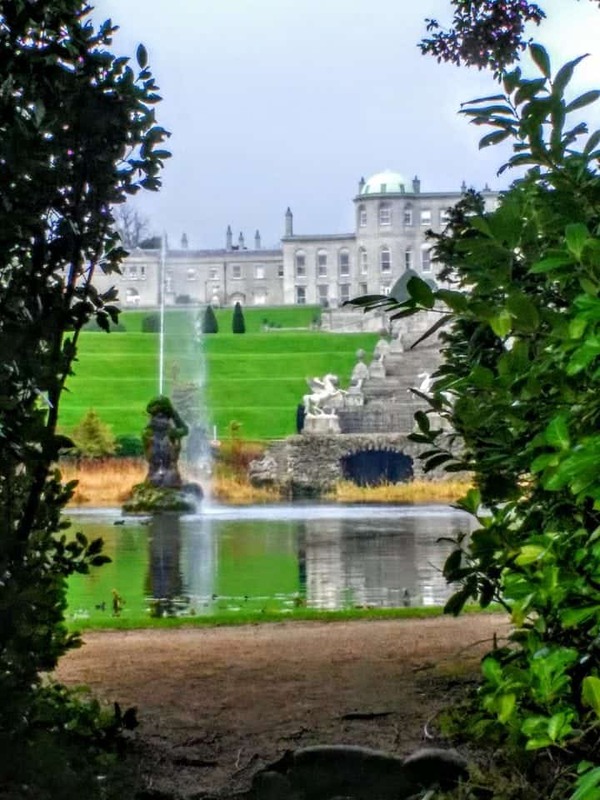 Waterfalls, Japanese Gardens, statuary, formal gardens and so much more can be seen at Powerscourt House. There’s also a lovely Avoca Tearoom and upstairs in the house, there is Tara’s Doll Houses. 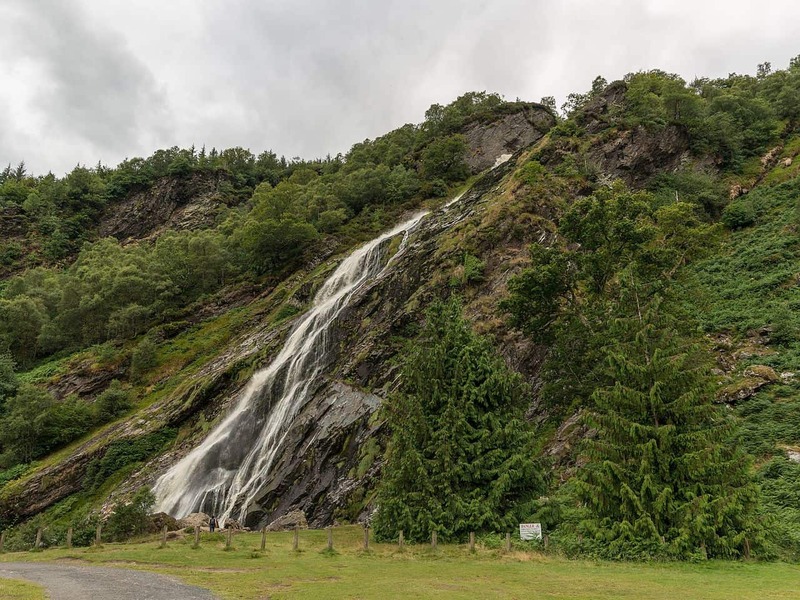 The Powerscourt waterfall is in the scene were Aslaug bathes and first catches Ragnar’s eye. 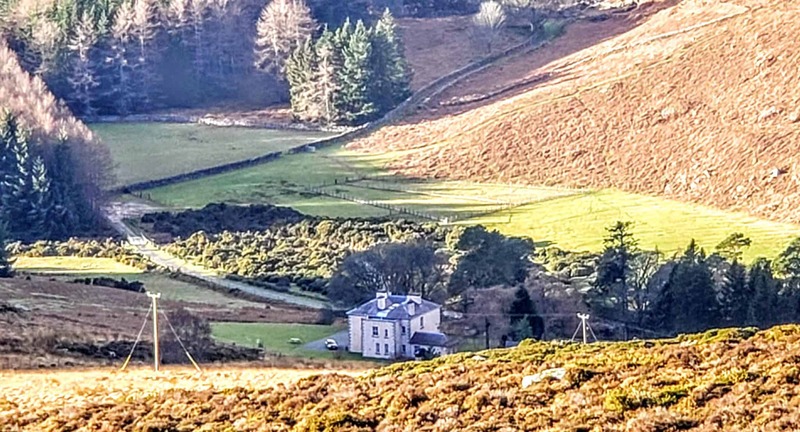 This is the estate that belongs to the Guinness Family and one of its outstanding features is, of course, Loch Tay. 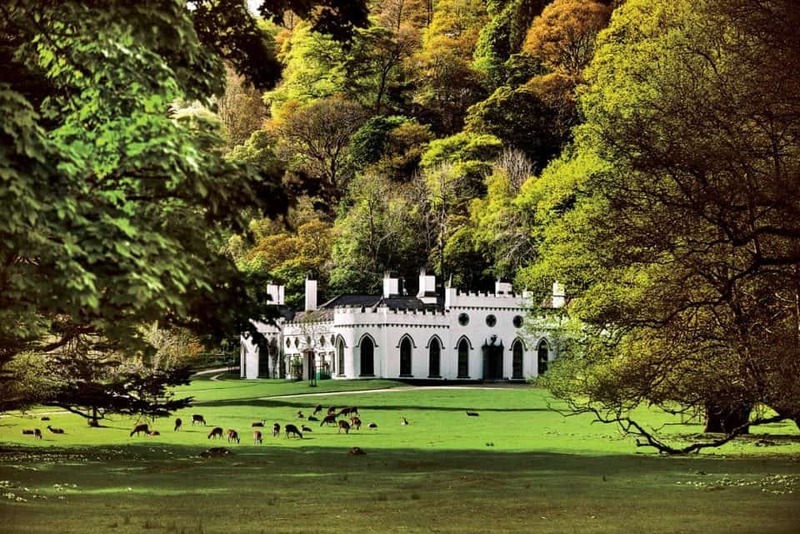 The grand estate is comprised of over the 25 km2 (9.7 sq mi) and is currently up for sale for €28 million Euros. The Luggala Mountain itself is called Fancy Mountain which comes from the Irish Gaelic Fuinnse which means ash tree. The Estate and the mountain have been home to Ragnar and the crew filming many outdoor scenes from the TV show. 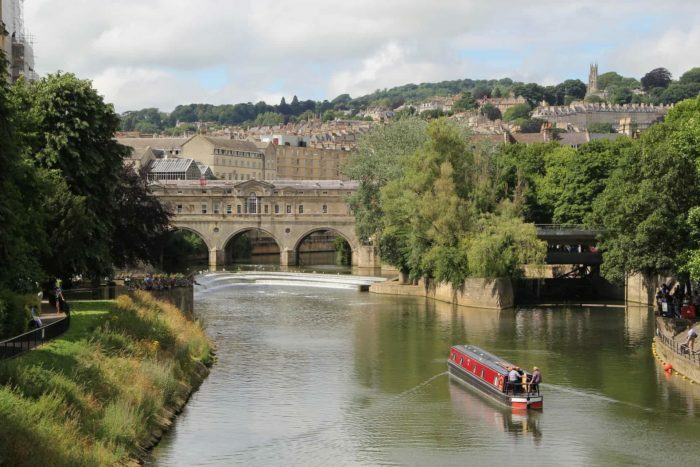 However, it has also hosted films like Braveheart and Excalibur. 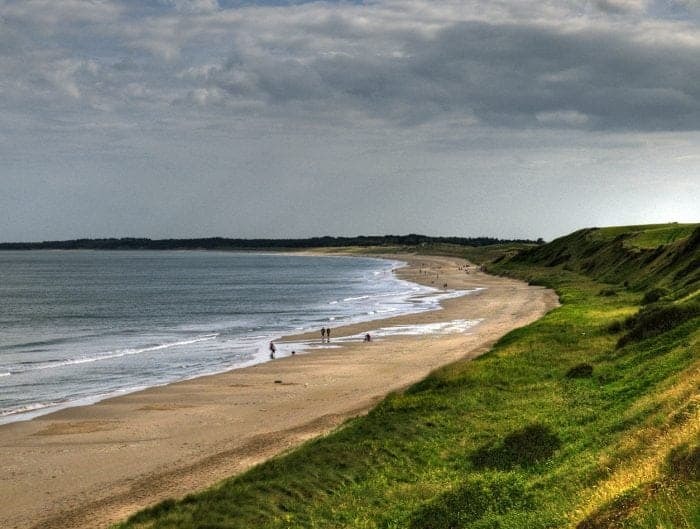 Most of the filming of Vikings takes place in Ireland’s Ancient East but for the Northumbrian scenes, the crew moved to Kerry where they filmed in Ballybunion. 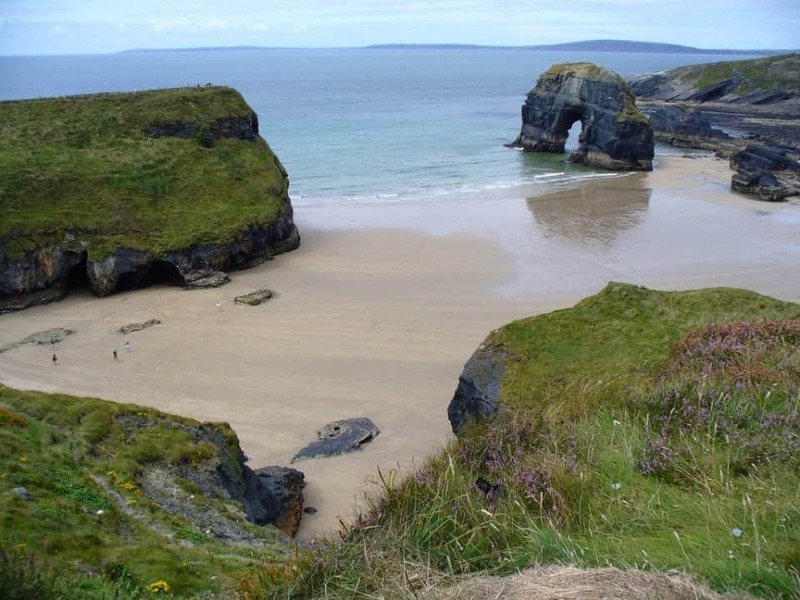 Nuns Beach is probably one of the most spectacular beaches on the Wild Atlantic Way. The beach itself is a horse-shoe shaped cover and it lies just beneath an old convent and obviously, this is how it got its name as the nuns used to bathe here. The beach itself is only accessible by boat or if you have the stomach for it you can go down the side of the cliff hanging onto the fixed rope handrail. 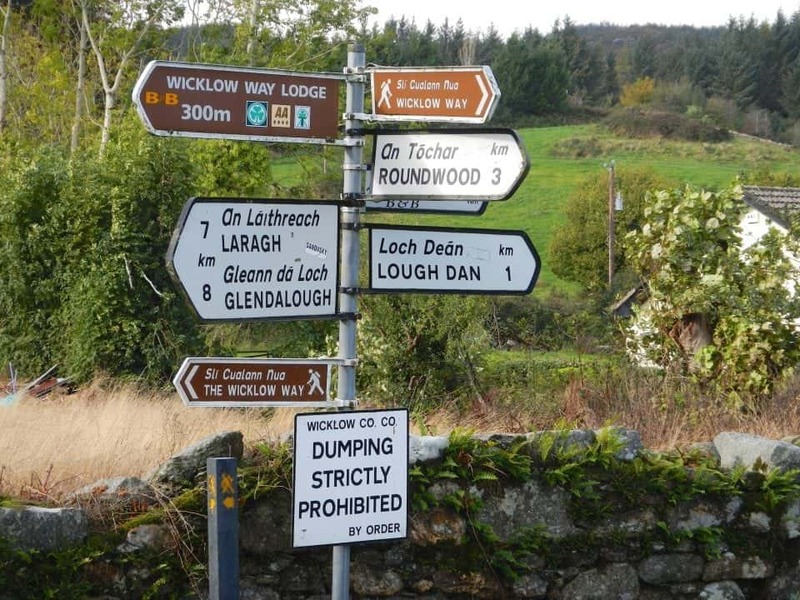 If you get a chance to tour the Wild Atlantic Way here are some not to miss sights. There is an old legend attached to an area just around the corner from the Nuns Beach called the Nine Daughters. The legend states that the 9 daughters of the Village Chief fell in love with Viking invaders. They had planned to run away with the Vikings but their father caught them and threw them and the Vikings into the blowhole where they drowned. 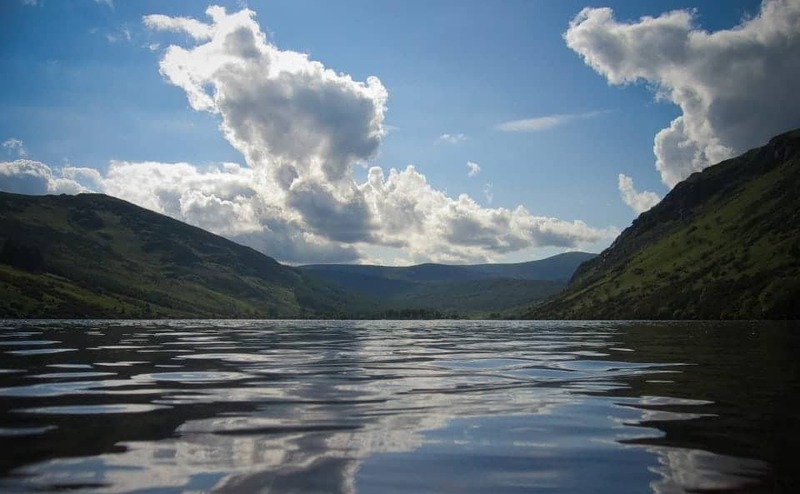 Lough Dan is the largest natural lake in Leinster a spectacular deep lake situated in a glaciated valley, it is one of the last reserves of Arctic Char Trout in the British Islands so it is well visited by anglers and fisherman attempting to catch some trout. 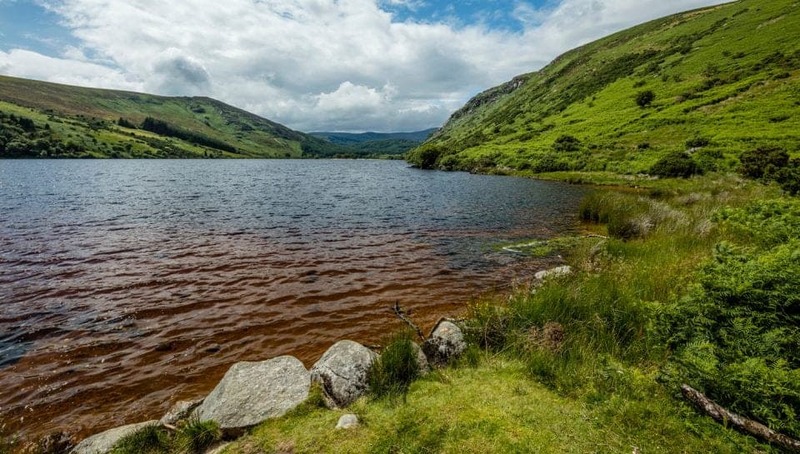 A very popular lake for hikers and kayakers it lies very close to the Wicklow Way and is used for a variety of the Viking TV shows locations and sets. Finally, and not quite as exciting as the rest, is Ashford Studios. The Wicklow studio has become the base for Viking’s filming since 2013 and much of the CGI and green screen effects you see on the shows begin life here! Yes, there is a Norse saga about Ragnar’s life, adventures, and progeny. However, these are not historical texts. Dr Shannon Godlove, assistant professor of English and the coordinator of Columbus State University’s Medieval and Renaissance Studies Certificate Program, says that these accounts were oral history and legends of the time that paralleled historic events. While the show may often stick close to the saga, the story itself is not fully accurate. 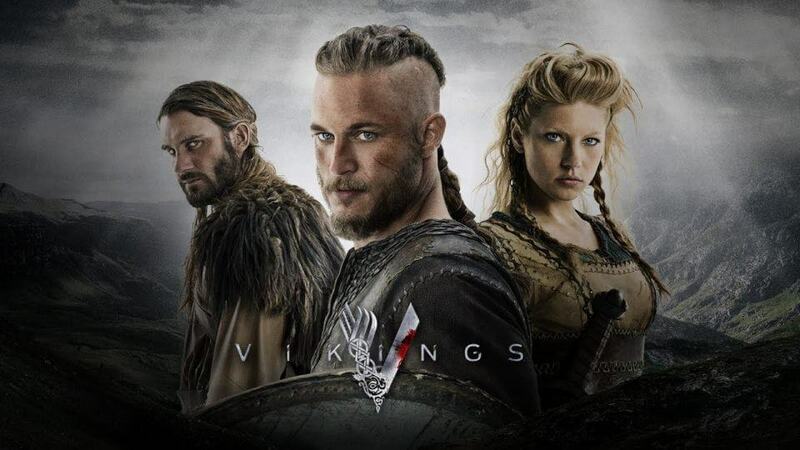 For the past 6 months, Vikings has been filming in Ireland and calls for extras have gone out across the country, this Season has premiered during November 2018 until January 2019 and we now wait for Season 6. Episode 11 may not be airing for some time but a teaser trailer has been released for the highly-anticipated instalments. If you are planning a visit to Ireland and Dublin here are some other movies and TV shows to watch to get a feel for what you want to see. If you are a fan of shows like Ripper Street, Penny Dreadful and the Fall you can find more information on these here. You may also want to have a read of these articles which will give you a great overview of some of Ireland’s iconic sites and locations.